View more technical specs here! Samsung’s GALAXY W delivers a chock-full of features in a stylish high performance mobile that takes you from home to the office and in between with the greatest of ease. Whether you’re surfing the web at high speeds, holding important WebEx meetings on a business trip, enjoying some downtime by playing HD games, this mobile has everything you need to stay socially connected, entertained with rich contents service and AllShare connectivity, and seamlessly synced and productive for work no matter where you are! 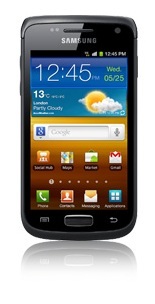 Be the envy of everyone around you with the new GALAXY W!